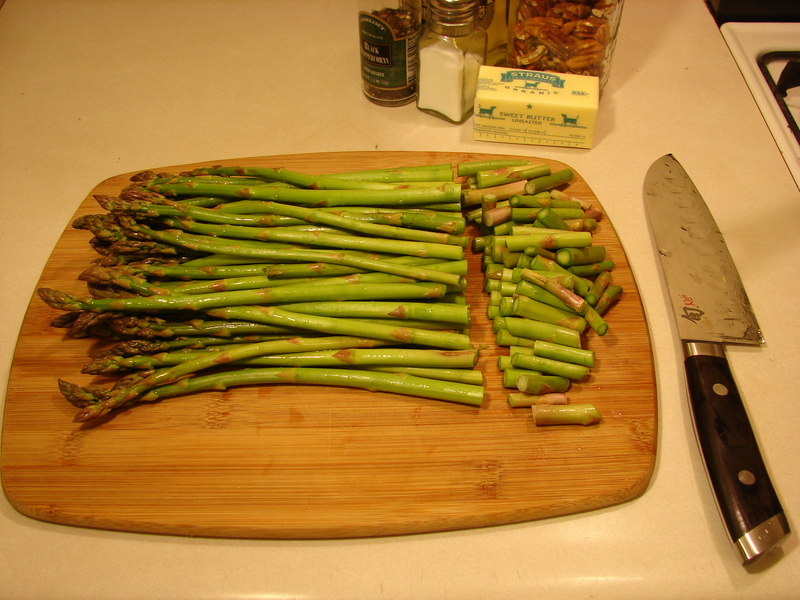 Wash the asparagus and cut one to two inches off the ends. 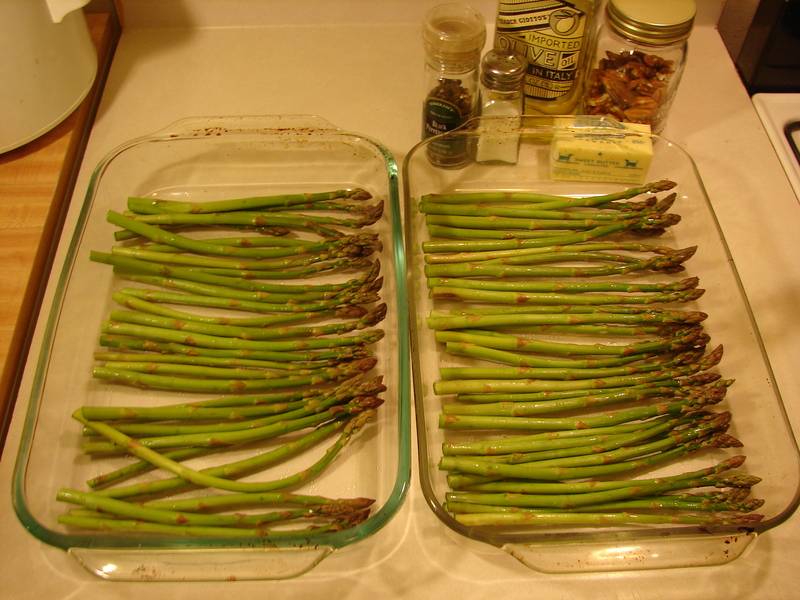 Spread the asparagus in a single layer in a baking dish. I had to use two baking dishes. 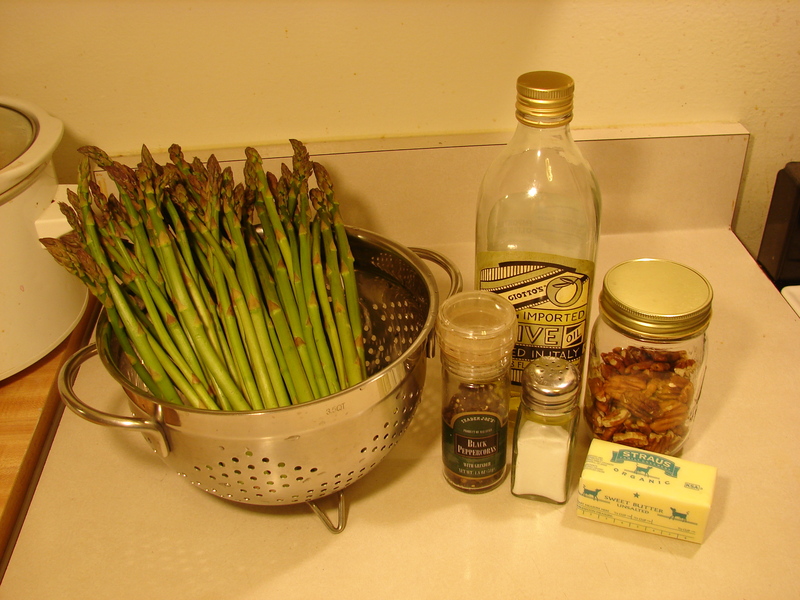 Drizzle oil over asparagus and toss to coat. I put one tablespoon in each baking dish. Add salt and pepper to taste. 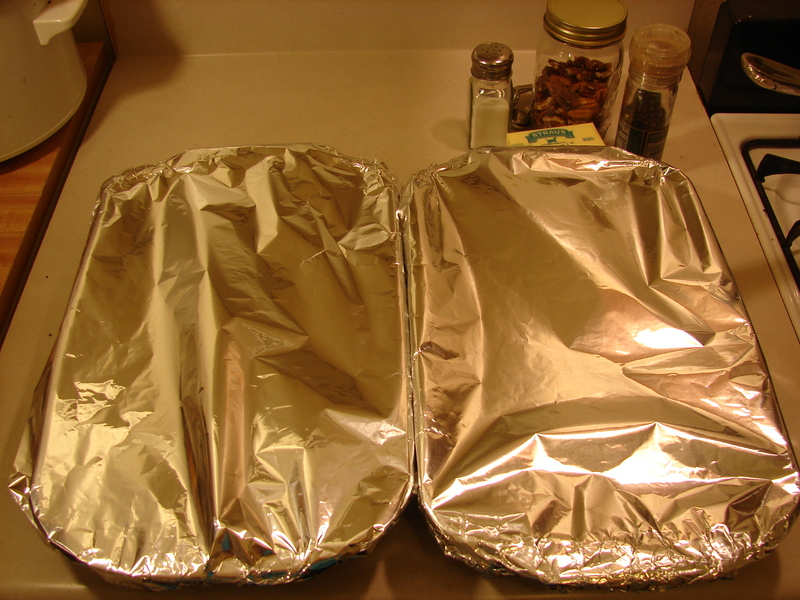 Cover each dish with foil. I use recycled aluminum foil, and I reuse it as many times as I can. The last piece I had got greasy, so I used new foil this time. Roast at 400 degrees for 15 minutes. 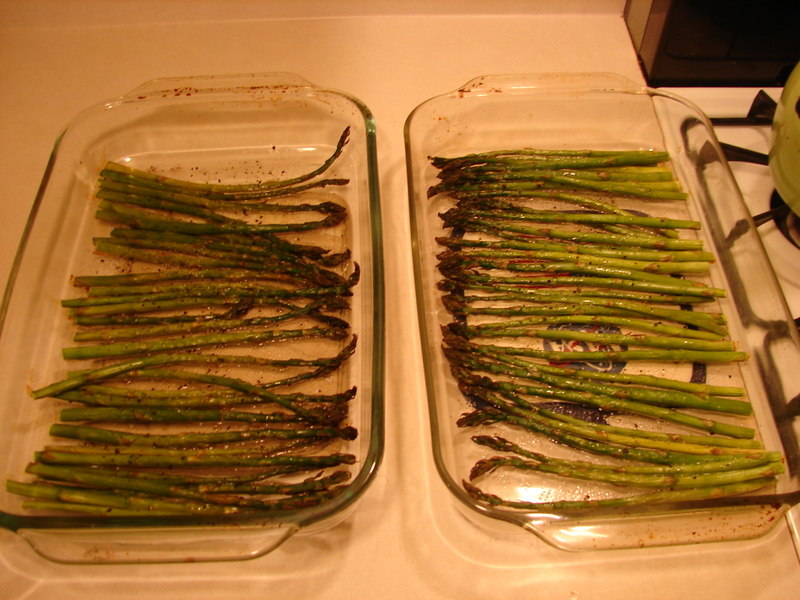 Remove foil and roast for another 15 minutes. 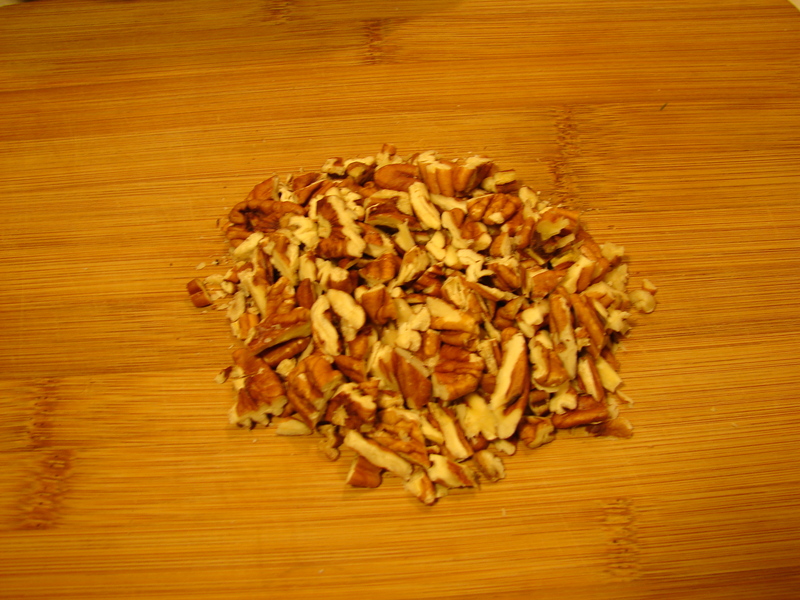 While asparagus is cooking, chop the pecans. 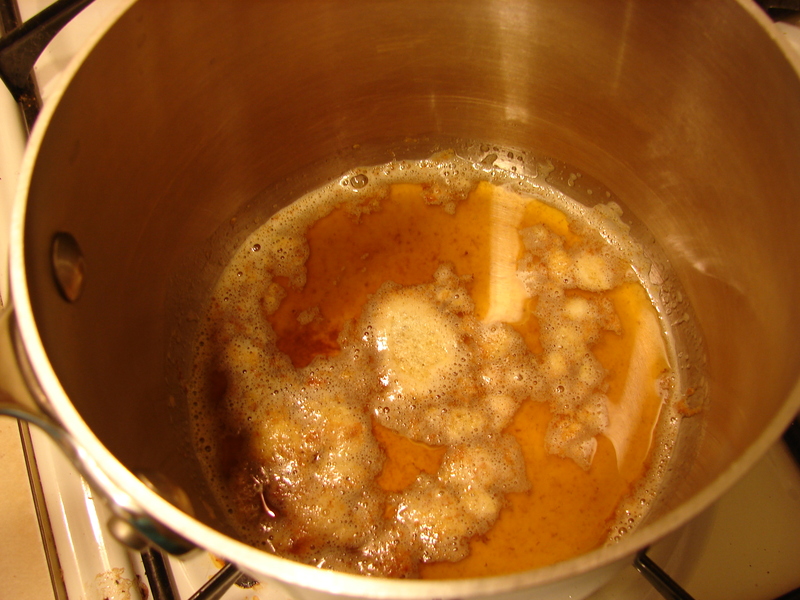 Melt the butter in a pot over low heat, and continue to cook over low heat until brown. Be careful not to burn it though. 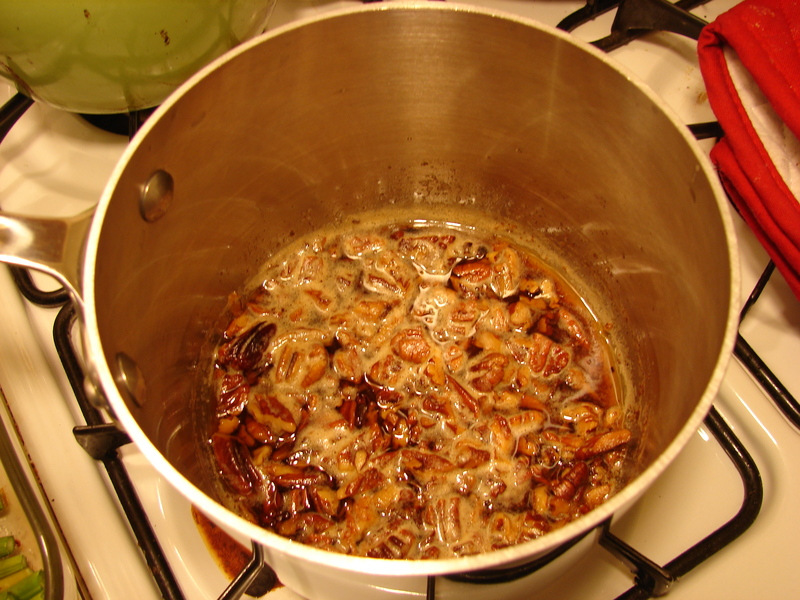 Add the pecans to the butter. 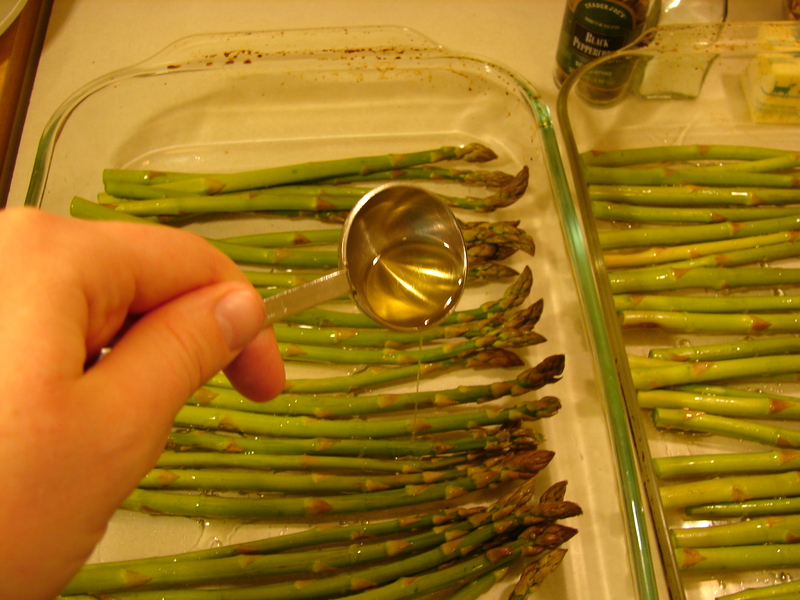 Pull asparagus from the oven. Pour pecan butter mixture over the top. Enjoy! 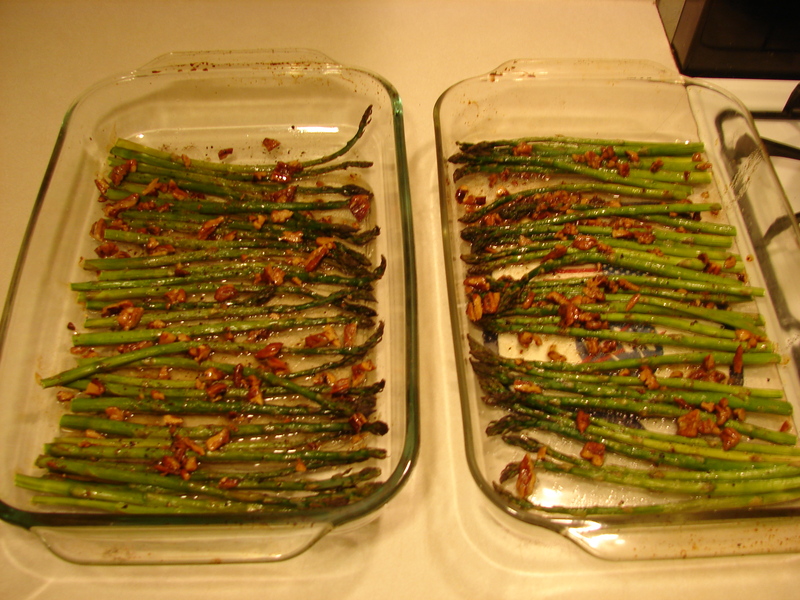 Note: If you’re allergic to nuts or if you don’t like them, you can just pour plain brown butter over top.